How do I comply with the State of California Food Handler Card law? 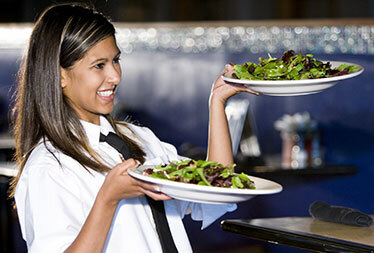 Individuals that work in restaurants, or those designated as food handlers within the food service industry, must obtain a California food handlers card within 30 days of the date of being hired and are required to hold a valid California Food Handlers Card for the duration of their employment. 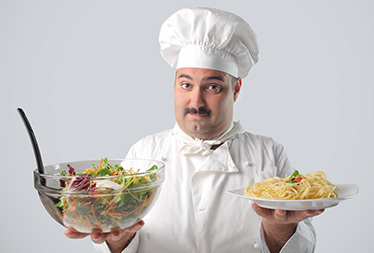 The California Food Handler Card law is designed to ensure that cooks, chefs, kitchen staff and other food handlers receive training in the fundamentals of food safety and are equipped with knowledge of modern food safety practices in order to reduce the potential for foodborne illness or food contamination. Food handlers and workers in the food service industry need to take an approved food safety certificate course and pass the food handler certification test with a minimum score of 70 percent to obtain a California Food Handler Card. The FoodHandlerClasses.com ANSI accredited food handler certification course covers the fundamentals of food safety and best practices in Food Safety. Skip the line and start studying for your exam in minutes. Our support staff is here to help every step of the way. Your certificate of completion is always available online. Recognized and accepted throughout the State of California! The State of California is now accepting the ANSI Accredited FHC course for food handler training and certification. The certificate provided upon completion of this course is not valid in Riverside, San Bernardino, or San Diego Counties at this time. The State of California requires all manufacturers/producers of cannabis edibles to have food safety training. FoodHandlerClasses.com offers an easy and elegant way to obtain your ANSI accredited food handler training certificate at minimal cost and effort to you. Gone are the days of attending physical classes to become certified. 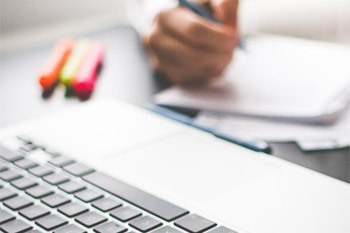 Our online training program can be completed in a shorter time, and at your own pace! Our program is recognized nationwide and is ANSI accredited. That means you can be sure our online certificates represent quality training at the highest level. Assign access codes to your team – Get ahead on certification and compliance. 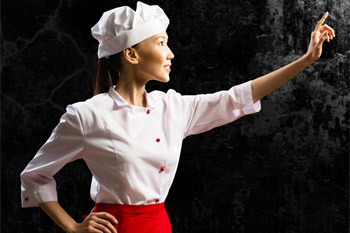 Food Handler Classes provides this ANSI-Accredited food worker certification course. 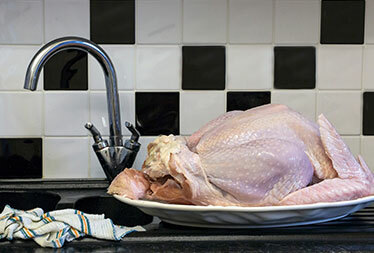 Founded on a basic review of food safety practices, this course is designed to help students understand and identify the risks of foodborne illnesses due to improper food preparation, storage and handling. Students will also learn basic behaviors that can help protect themselves, their co-workers, and their customers against foodborne illnesses. As a food handler, your behavior directly affects not only the safety of food that will be served to your customers, it and impact your own health. In this section you will learn how keep hands and body clean prevents contamination of the food you touch. You'll also learn about methods for keeping food contact surfaces safe, and when to use appropriate barriers to prevent bare-hand contact with food. Learning to keep your hands and food contact surfaces clean is only half the story when it comes to food safety. Illness-causing bacteria can still spread from raw meats, eggs, seafood, and poultry to other foods, unless you practice good food separation protocols. This section provides a good overview of best practices for food storage, food preparation surfaces, proper handling to prevent cross-contamination. Bacteria lurking in raw foods can be an illness time bomb, just waiting to go off. But that is not the only hazard in food. 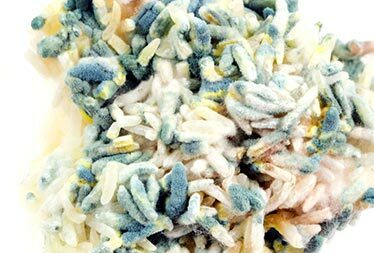 This section covers biological hazards, like bacteria, molds, and parasites; chemical hazards from pesticides and common cleaning products; and physical hazards, such as bones or foreign materials like small stones or bits of broken glass, or undesirable objects like insects or hair. 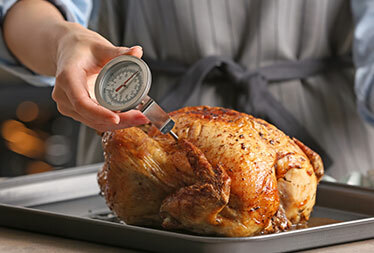 One of the primary causes of foodborne illnesses is the failure to observe proper time and temperature control for foods that require it. This section covers standards for Time and Temperature Control for Safety (TCS), including information regarding cooking different kinds of foods to the proper internal temperature, holding foods at the proper temperature, and proper methods for cooling and reheating foods. When it comes to safe food handling it is important to know what to do, and how to do it. But until you put that knowledge into practice, your risk of spreading, or contracting, foodborne illnesses remains. This section covers your responsibilities as a non-managerial food handler, and how to implement your knowledge and skills. You'll gain valuable insight into how to work together with your managers and coworkers to create a more healthful work environment. For anyone that needs food manager certification. Online alcohol training? We've got what you need.